I hope everyone had a great Fourth of July! 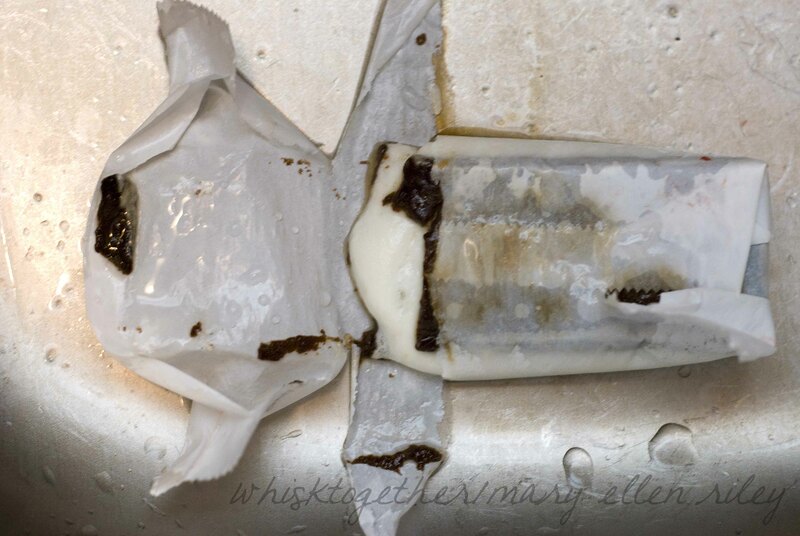 So, I had over half of an ice cream bar leftover and threw it in the sink to see what would happen. The next morning – it didn’t move! Look! The ice cream doesn’t melt, it just sits there. The water is from me washing my hands in the sink when I got home. Ugh, I guess I’ve been reading too many nutrition books. Don’t bother, I’ll sum it up: Nobody knows nothin’. Every time the science says something, then someone else comes up with science to disprove it. Eat real food and you’ll be good to go. Anyway – back to the recipe made with REAL food. 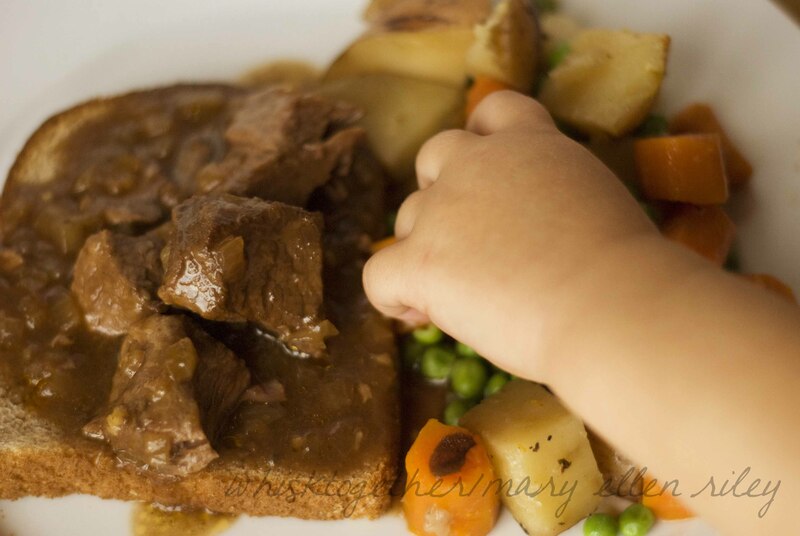 Even if you have your great grandma’s beef stew recipe from the 1800’s and it’s the best thing on the Earth, you should look at the technique in this recipe. The vegetables cooked very, very well in the foil packet as opposed to boiling themselves to death like I normally see. It was probably one of the best beef stews I’ve ever had. Plus, it is made in the slow cooker. So, yes it is hot, but my kids just aren’t going eat a nice salad with some hummus on top for dinner. Therefore, instead of cooking in the oven, I turned to the slow cooker that really didn’t heat the house up much at all. 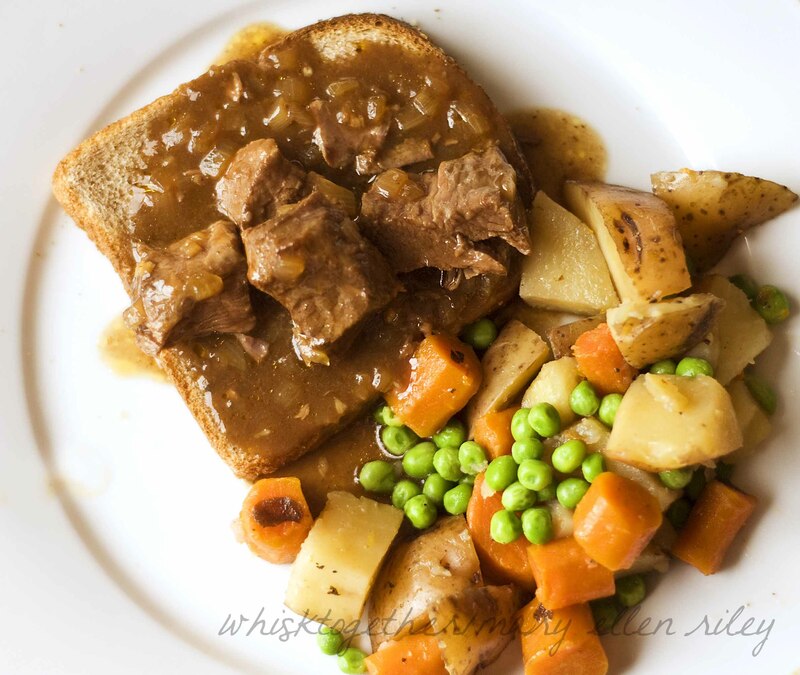 If you still don’t want beef stew in summer, pin this for the Fall months! 1. In a 12″ skillet, heat 1 Tb. oil on medium. Then throw in the onion, garlic, tomato paste, and some salt. Cook 10- 15 minutes. Add chicken broth. 2. Dump the stuff in your skillet into the slow cooker. Add the beef broth, meat, soy sauce, tapioca or cornstarch and bay leaves. 3. In a great big bowl, toss together the carrots, potatoes, 1 Tb. oil and 1 tsp thyme. Take out 2 pieces of foil just slightly larger than your slow cooker. Put the veggies in the middle and crimp/fold the edges over twice to seal the veggies in like a packet. Put this packet on top of your meat. 4. Slap on the lid and cook 9-11 hours on low or 5-7 hours on high. 5. Once it’s done, take off the veggie packet. Add the peas and 1 tsp. of thyme. Let that cook/sit for 5 minutes. 6. To remove some of the fat from the stew, after 5 minutes of sitting, tip the cooker a little and skim the fat off the top. Serve with some rolls or on top of a slice of bread. -Cook your onion mix ahead of time and put it in the fridge. Make your foil packet ahead of time. Trim and cut the meat ahead of time. I wouldn’t let the cornstarch sit overnight… I’m not sure that would be a good thing.